The Writers Alley: Is Writing in Multiple Genres For You? Is Writing in Multiple Genres For You? Today I am so excited to welcome to the Alley one of my favorite debut authors--and quite frankly one of the coolest chicks I know--the incredible, smart, versatile, and sassy C.E. (aka Carla) Laureano! The single most frequent question I get asked by other writers is: how did you get published in two genres simultaneously? It’s usually followed by the statement, “I’ve always wanted to write multiple genres, but everyone tells me to pick one and stick with it.” I’m proof that it is possible to write in more than one genre at the same time. But the bigger question is, should you? I didn’t actually intend to start out publishing in two genres, but a series of most likely unrepeatable circumstances ended up bringing me two offers simultaneously—for two different book series in two different genres. Never one to turn down an opportunity or a challenge, I accepted both, with the caveat that we had to arrange my release dates not to conflict with each other. I was already writing three books a year, and the second books in both series were already partially completed. Surely I could manage to write another two and a half books in two years? The thing I didn’t realize is that two book contracts don’t mean twice the work. They mean an exponential amount of work. I’m often working on three, four, even five books at the same time in various stages of production. At one point, I was marketing my first romance while editing my first fantasy, rough drafting both the second fantasy and the second romance, and plotting the third fantasy. Add in a heavy amount of promotion for each series—including multiple guest posts per week, social media chats, and my own blog—and it’s easily two full time jobs on top of my regular schedule. That leaves very little time for little things like eating and sleeping, oh yeah, and breathing. Does that mean I would have done things different? No, not necessarily. But I also recognize that this pace is not something that everyone can sustain, nor do I recommend that everyone try. I tend to be happiest when I’m busy and multi-tasking, and I spent most of my career in a high-volume, high-stress corporate environment. Even so, the pace takes its toll. I have to be intentional about taking time for myself to recharge and connect with family and friends. However, to be successful at writing in two genres simultaneously (especially if you’re writing under a pen name for one or both), you have to treat each genre like a separate endeavor. You can’t slack off on marketing one genre while you’re busy with another; otherwise you’ll lose the readership you tried so hard to build. In my case, the overlap between my contemporary romance and fantasy readership is not as large as it would be if I wrote contemporary romance and romantic suspense. This is where the one-genre authors have a big advantage: they can devote their full attention to developing and maintaining one readership while writing books only for that readership. 1) Do I have the time, energy, and emotional wherewithal to devote to what amounts to TWO full time jobs, on top of my regular day job and family responsibilities? 2) Can I shift gears from one project to another without losing focus? Will it be a problem for me to write a contemporary romance while editing a mystery? 3) Do I have the energy to maintain social media and marketing presence for two separate audiences? 4) Am I prepared to drop one genre/series should the other one prove to be much more profitable and demand more of my time? All this assumes, of course, that you are pursuing traditional publication for both genres and that your publishers don’t require restrictive non-compete or first-rights clauses. Some authors choose to maintain a traditional publishing deal for one, while self-publishing the other. This has the advantage of letting you work your indie deadlines around your traditional publisher’s schedule. But it also means the entire responsibility for editing, cover design, formatting, marketing, and sales will fall on you for one genre. Bottom line: pursuing publication in two genres can be a great opportunity when undertaken as a part of a thoughtful business plan with a full understanding of the challenges that are entailed. But for many writers, especially those with day jobs or multiple responsibilities, taking it slow with one genre at a time may be the best choice. Is there anything else you want to know about my experience writing multiple genres? Ask me below! I’m happy to share my thoughts. C. E. Laureano has held many jobs—including professional marketer, small-business consultant, and martial arts instructor—but writer is by far her favorite. 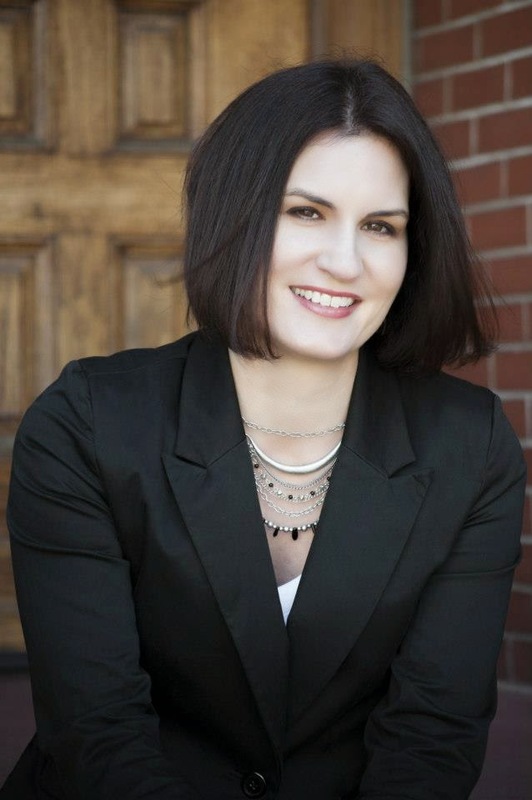 She was a finalist in the speculative fiction category of American Christian Fiction Writers’ 2012 Genesis contest, and she is active in ACFW’s South Denver chapter. Author of one previous novel—the 2014 RITA Award double-nominee, Five Days in Skye—Laureano lives in Denver with her husband and two sons. Don't miss her Fantasy DEBUT!!! An island at the edge of the world. An ancient prophecy. A reclusive warrior brotherhood. When evil encroaches, who will find the faith to fight it? LOVED having you as our guest on the Alley! We are so excited about all your success! Hey Carla! *waves* Yes, writing multiple genres can be tricky--but you're great at it!! 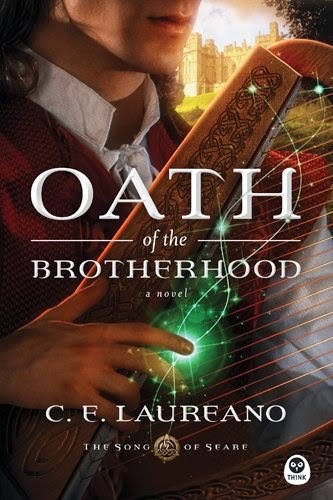 I'm still loving that Oath of the Brotherhood cover. It always draws my eye. Have a great weekend - you, too, Writer's Alley ladies! As someone with a career writing multiple genres, I have had difficulty building a fan base because many of my fans wouldn't follow me from genre to genre. That means new books don't sell backlist, and each genre requires different promotion and a lot more work. A smarter move for a writer is to write in very similar genres or subgenres. Jim Butcher, for instance, built his career on the "Dresden Files" urban fantasy novels, then he started a traditional fantasy series. Now, he's also writing a steampunk fantasy series. Other writers who have been successful at this suggest that you write and promote at least three books in the same series or genre before you add a second so you'll have better name recognition and a stronger fan base. Thanks for confirming the fact, that I am indeed, a one-genre-at-a-time writer. :) Great post today! Great post, Carla - and somewhat terrifying. I'm a big fan of yours. Your personality and your work! 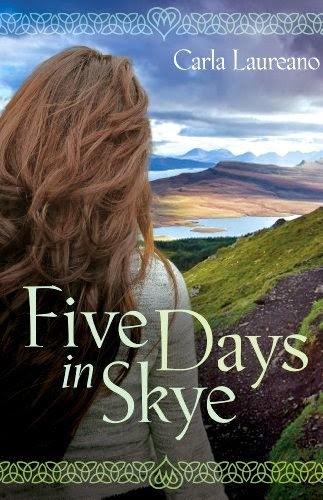 Five Days was a lovely, LOVELY book. I read it in 2 days. The idea of writing, marketing, and promoting 2 book series at the same time sounds daunting enough to sober the most 'fairy-brained' enthusiast...but what happens when your brain automatically THINKS in more than one genre? Do you just write where the passion is, or do you try to hone the daydreams to one genre or other? I agree with Cindy! You are amazing at juggling it all with such grace and style! Pepper, I imagine you'll be published in like four different genres someday! You all amaze me! Thanks Laurie :) I'm not a fantasy reader but I'm a big Carla Laureano fan so I'm definitely gonna have to expand my horizons! Cindy - Thanks for dropping by! And thanks for the compliment on the cover. It was made by the fantastic Kirk DouPounce. I love how well he captured the book. Marilynn - I think you have a great point. The indie model is changing some things-- I actually know a number of authors who successfully write multiple genres simultanously, but they write four or five books a year. I completely agree you certainly can't release a book at a time, alternating genres, and build a fan base. You hit on exactly why traditional wisdom is to stick with one genre first. Pepper - I think when you're trying to nab an agent, it's great to write in multiple genres and find where your passion--and your abilities!--lie. I never thought I would like to write romance, let alone actually be good at it! Imagine my surprise. I also have interest in writing alternate history and romantic suspense, but it would make no sense to write those now. I make notes of those ideas and put them away for a future time. I try to channel the things I like most about the ideas into a genre in which I'm currently writing. Instead of writing suspense, I'll include a suspense thread into the fantasy plot, for example. Alright Carla... So here's the big question. Which genre do you like writing more? Reading more? And if you HAD to just pick one... Which would if be? Dun dun duhhh! Hmmm. If you asked me today, I'd say romance, but that's just because I'm currently writing fantasy. If I were writing romance at the moment, I'd say I prefer fantasy! I actually have a bit of ADD when it comes to WIPs, so it really helps for me to be working on two entirely different projects at once. I always seem to forget just how nerve-wracking the process of writing a new book is! And for reading, I'm really enjoying suspense and Regency romance right now, two genres in which I DO NOT write at all! BUT, I'm so thrilled to see where your writing is taking you. Glad to have you share your wisdom and learning experiences here on the Alley! Carla, this is so cool because just yesterday, I write about identifying the genre(s) that best fit your writer's voice, and I had no idea you'd be chatting about multiple genres today! Small world! You are seriously a superhero to be able to handle so many different kind of stories without mixing them up. :) So glad we could have you at the Alley today!